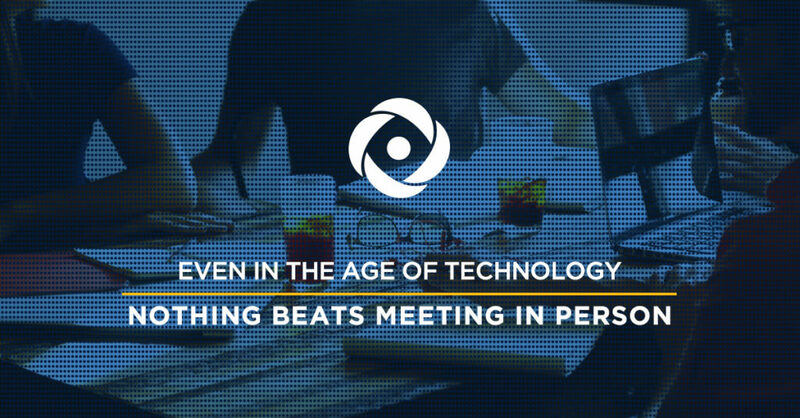 Nothing Beats Meeting In Person - Acara Solutions, Inc.
Jason Hatch, an Account Executive out of our Minneapolis office, shares his perspective on the lost art of face-to-face meetings and the advantage it can provide in sales. Regardless of industry, Twitter DMs, text messaging, e-mail, Skype, Viber, and Facebook Messenger are great ways to connect in 2018. As a sales professional, these resources are particularly helpful. However, even in this age of technology, I believe the in-person approach still goes a long way toward leaving a lasting impact. For one, in-person interactions are becoming less and less frequent. It can at first feel uncomfortable or fruitless, but if continued, you will stand out from the crowd in the minds of potential clients. The best case result for e-mail outreach is a meeting scheduled for over the next few days or weeks. The best case for an in-person visit is an immediate conversation. I have had situations where these visits led to new business or orders that same day! Initiative is a positive attribute for those in the sales field to possess. By traveling to a potential customer and leaving your comfort zone, you display serious intent toward earning their business. The following tips will incorporate the in-person advantage into your sales toolbox. Driving aimlessly wastes time and money. Consider a zone in which you know you can make stops, and always find four or five places to visit before or after a pre-set meeting. Do your best to learn the names of decision makers before arriving. In-person interactions are fantastic opportunities but you need to be ready. Have collateral, market research, and product information on hand and ready to go in case you are given a few minutes with a decision maker. Leave a handwritten note. Business cards and pamphlets are often discarded. A notecard with a handwritten message inside adds a personal touch, which encourages the gate keeper to pass it on to the decision maker. FOLLOW UP. The most important step is to follow up with whomever you spoke or attempted to meet with. Now is the time to utilize technology. Let them know you appreciated their time and look forward to connecting again. Technology plays an important role for sales professionals but people tend to buy from those they feel warmly toward. The best way to achieve a true connection is to meet them in person! Take the first step toward personal interactions and begin making your rounds!